Rev. Berry Hudson is the facilitator of Safe Places groups for men. He is the Director of Insight Ministries and has 17 years of pastoral counseling experience. 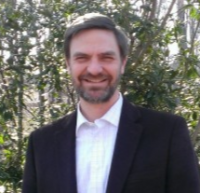 Prior to beginning a counseling and training ministry in Augusta in 2009, he served as Pastor of Community Life for Two Rivers Presbyterian in Charleston, South Carolina. He also served with Reformed University Fellowship in Tennessee and South Carolina. Berry received his B.A. in History from Wheaton College in Illinois and his Master of Divinity from Covenant Theological Seminary in St. Louis, Missouri. Berry has also been trained in biblical counseling through the Christian Counseling and Education Foundation in Glenside, Pennsylvania. He is an ordained minister in the Presbyterian Church in America. He and his wife, Rachel, have one son, Todd. Send an email to bhudson@insight-ministries.com. Your email will be held in strictest confidence until and unless you give him permission to pass your name along to another pastor, staff member or group leader. Fill out the form below, which again will be held in strictest confidence.